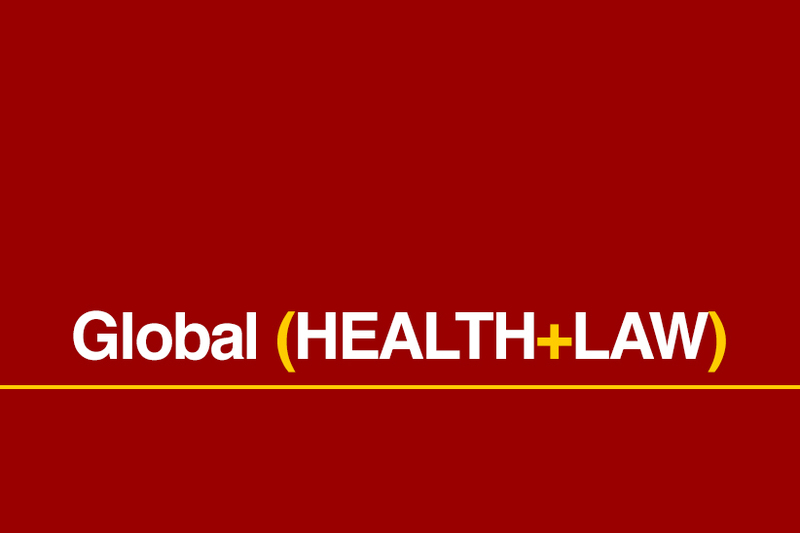 Thanks to all who attended the USC Law & Global Health collaboration event on January 25, 2017. See below for a summary of the day’s proceedings. Sofia Gruskin opened the meeting, highlighting that this was the first meeting focused on generating rather than simply presenting research, (and also the first meeting since the Presidential election) with a focus on research gaps and what we as a University can do. It was agreed Professor Laura Ferguson would jumpstart a conversation by briefly presenting some findings and conclusions from her research, and after her presentation, the floor would be opened for questions and comments, and a broader conversation about research needs. With help from Professor Ferguson, areas of interest would be identified, and smaller working groups would be invited to form to begin exploratory research. Email lists would be generated, and seed money to facilitate students meeting could be made available. One caveat noted up front is that, given that we are a university, much of the research work that is envisaged that students would do at this point would be working with existing data and literature. This is in part because we are strong proponents of the “nothing for us without us” philosophy, which means that any on-the-ground research has to include and be driven in large part by people from the trans community, and this is how any research affiliated with the group will be framed moving forward. Professor Ferguson then took the floor for the brief orienting discussion, and highlighted that this meeting should be participatory to the extent possible. By way of introduction, she highlighted that a Google Scholar search will reveal that there is not a lot of literature about trans health and how law impacts trans health. What is available is largely from North America, and not much from other parts of the world. And yet, research shows that trans women are 49 times more likely to be living with HIV according to a meta-analysis done in 15 countries (Baral et al. 2012, http://www.thelancet.com/journals/laninf/article/PIIS1473-3099(12)70315-8/fulltext?rss=yes). And that’s just HIV. Putting us in the current political moment, Professor Ferguson noted that a lot of the money to reach the trans community living with HIV globally has come through the President’s Emergency Plan for AIDS Relief (PEPFAR) which is US government money. Nothing has been conclusively stated with respect to the orientation PEPFAR or USAID will take going forward, but a relatively educated guess is that these sorts of issues will not be a priority for the new administration. So with that as background and justification of the need to focus on these issues, Professor Ferguson turned to the question about what we as a community can do. There are some datasets that could be further analyzed for us to try and learn what is going on, and that analysis could in turn be used to inform design of primary research. Professor Ferguson noted that this work can occur around the world, and also that LA is part of the world—there is no need to ignore local communities. Additionally, everybody in the room brings a different skill set, background, and perspective, so a question to be addressed is, for each piece of work, who is the right mix of people to have involved? A related step is that we interrogate ourselves. Professor Ferguson has been working with trans populations in sub-Saharan Africa, but noted that she is neither trans nor from sub-Saharan Africa. That said, she is an academic and a researcher, and she has skills that can further this research. So the question is, how does she bring these skills to the table along with those of the right mix of people? By way of example, Professor Ferguson highlighted a project that she and several colleagues were working on at the time of the presentation. The project was focused on removing legal barriers to access for key populations in ten countries in sub-Saharan Africa. It was an evaluation based on a Global Fund regional grant, in which UNDP was a principal recipient, and there were four NGOs that were sub-grantees, which managed and ran activities, including further sub-grants right down to the grassroots level. She and colleagues were involved in baseline and endline evaluations—they are not implementers—but they look at the starting point, and in a few years return to see how the project has changed. The general idea is to build up a picture of where we are now. Beyond laws and policies on paper, questions included things like what is the local trans culture like? Is there capacity amongst health workers to address trans health issues? How do police react when a trans person is arrested? They looked at health systems, legal environments and also the day-to-day experience of trans populations to try to get as accurate a sense of how things stand as possible. Several critical takeaways came from this process that may lend themselves to further research, and that is what Professor Ferguson highlighted for the group. The following are some themes that she suggested the group may like to explore further. Lack of legal recognition is a near-ubiquitous problem. Presenting an ID card that does not match your expression can be a big issue, whether with respect to health services, driving or other system issues. In many places, the trans community is often not out and not recognized—they may not feel safe and levels of violence are high. If the community is not out and organized, there is less of an advocacy base to voice concerns, report violence etc. There are also opportunities for work focused on capacity building as there is a hunger for research-oriented skills. If people need to learn how to collect qualitative data, let’s build in trainings on those skill sets to make research work more useful to trans populations. There seems to be low awareness amongst the general population regarding the health and legal issues affecting trans people that even basic research and advocacy could help address. This includes issues relating to interactions with police, health workers, and the general public. The problem is particularly pronounced in accessing health services and access to justice. One interesting observation relevant to research is that, HIV is not always the first health and rights priority for trans people. People care that they can’t walk down the street safely. What does this mean? There is a layering of vulnerabilities that occurs and is relevant to research. As a final observation, doing work on trans health and rights means talking about the acceptability of difference. And what is “acceptable” varies enormously from place to place. In some places, intersex is deemed ok because it is “biology” but being trans is not ok because it is deemed “expression.” In other places, being trans is considered being trapped in the wrong body, so it is totally ok. These differences are key to thinking about research going forward. Working Group on Identity & Transgender Populations. This group is interested in exploring trans identities, gender constructions, and cultural constructions and continuums. Working Group on Legal Barriers & Transgender populations. This group is interested in exploring legal barriers that individuals face, particularly in accessing health services and accessing justice. Working Group on Structural Barriers & Transgender Populations. This group is interested in exploring structural barriers, particularly around delivering trans-friendly health care and services. After a brief discussion and email sign-up within each group, the meeting was concluded. Our sincere thanks to Laura Ferguson for her insight and help in jumpstarting this process. Please visit the website for upcoming meetings and to join one of three working groups!